Chong An Sunim started Zen practice in 1990, in his birthplace Budapest, Hungary. He became a monk in 1994 and spent the next six years training under the guidance of Zen Master Seung Sahn at the Seoul International Zen Center, Hwa Gye Sa, Korea. He was given the title ‘Dharma Master’ and thus became authorized to teach in August 1999, by his teacher, the late Zen Master Seung Sahn. Since 2000, his teaching activity has extended to Asia, the United States, and Europe. He initiated the search for land in 2003 to construct a traditional Korean temple in the Pilis Mountains, near the capital of Hungary, Budapest. 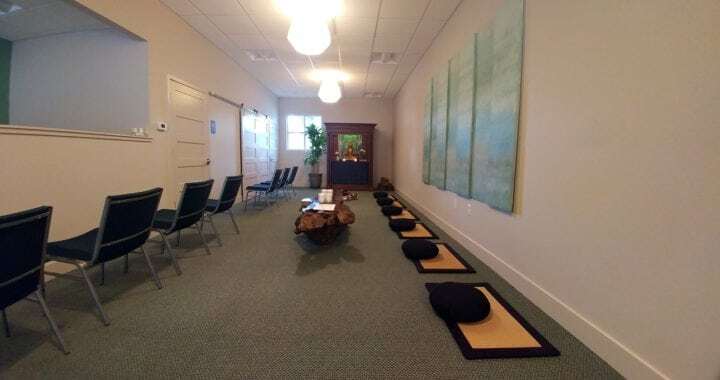 As part of the monastic and lay tradition of Korean Buddhism, it is intended as a practicing place and residence for all people who want to do extensive training as well as short-term retreats. The temple site was found in 2004 September, and the first piece of land was purchased in 2005 February. The construction of the main temple building was started in 2006 ceremonially, and a year later physically. Since 2008, we have been having yearly winter retreats for 90 days, and by now our retreat schedule is full of short, medium and long-term retreats. After overcoming several obstacles, the first traditional temple building of the Original Light Zen Temple in Hungary was finished in early 2010. Both the initiating and the opening ceremony for the first Zen Hall were performed by the Sudoksa Bangjang Seol Jong Sunim, also attended by the Hyangcheonsa Juji Boep Jong Sunim and the Hwagyesa Juji Soo Am Sunim as well as lay practitioners. In spring, 2014, Seol Jong Sunim visited Won Kwang Sa for the third time, giving teaching as well as performing the spiritual starting ceremony for the Great Buddha Hall. Chong An Sunim continues to serve as founder and abbot of Won Kwang Sa and immerses himself in practicing and teaching Zen. He received full Dharma Transmission on May 9th, 2017 from Seol Jong Sunim, thus becoming the first Zen Master of western origin in the Jogye Order of Korean Buddhism. Please help us if you can. We welcome financial donations of any size, at any time. Making a donation online, with PayPal. You may use your credit card and do not need a PayPal account. Posted in Events, News and tagged Retreat, Workshop.